FitzGerald Associates Architects has been selected to provide space planning and interior architectural services for two PNC Bank branch locations, the first at the Wilson Yard site in Chicago’s Uptown neighborhood, and the second on Highland Avenue in Lombard, Illinois. 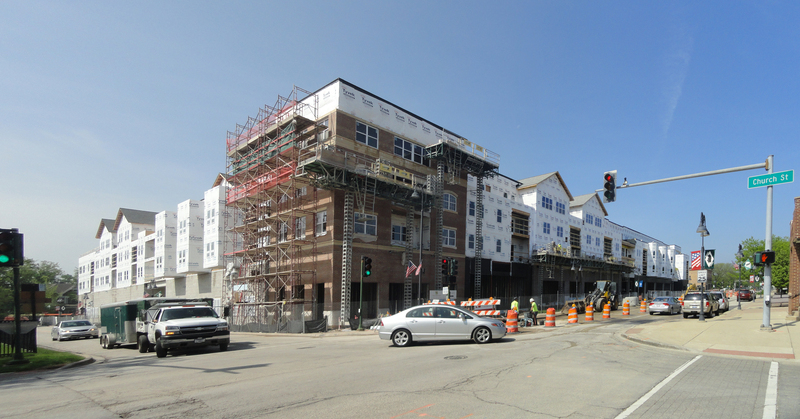 The Uptown location is a 6,600 square foot initial build out of the prominent corner of Wilson Yard’s street-level retail spaces; part of the mixed-use development that combines retail, commercial, senior apartments and family apartments designed by FitzGerald Associates Architects. With Associate Principal Ron De La Cruz’s status as a Self Certified Architect with the City of Chicago, FitzGerald Associates was able to secure a permit for this build-out in only 24 hours. This new Wilson Yard branch will be the first tenant to occupy the corner at Broadway & Montrose, and joins AT&T, Hair Cuttery, Subway and Chicago Nails in the Broadway Street retail spaces. The bank’s Lombard location is a full renovation of an existing building that had previously housed another financial institution. A comprehensive upgrade to comply with PNC’s standards, the work will include new finishes, floor plan modifications to the teller line and safe room, and electrical alterations.